Ed Asner's explanation for Hollywood's silence regarding Obama attacking Syria epitomizes the absurdity and danger of political correctness and identity politics. Ironically, Hollywood progressives find themselves slaves of their own emotion driven brain-dead loon-icy. Hollywood along with Democrats and the mainstream media have declared all opposition or criticism of Obama racist. 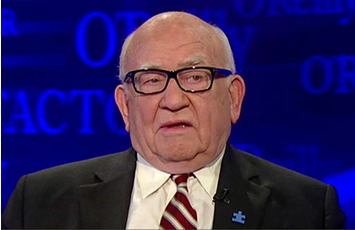 “A lot of people don't want to feel anti-black by being opposed to Obama,” said Asner. Excuse me! They don't want to “feel”? Dear Lord, while we adults are discussing national security, Democrats (Hollywood Progressives) are still obsessed with feelings and protecting the first liberal black president. This is why it is crucial that voters send “adults” to DC who will put the best interest of America, first! Democrats, Hollywood and the mainstream media's super sensitivity to racism and sexism only applies to liberal Democrat blacks and women. Thus, a Hillary Clinton presidency would, in essence, be the third term of Obama; furthering his “fundamental transformation” of America, implementing their liberal socialist/progressive agenda. Republican Michael Steele was the first black man to win a statewide election in Maryland. And yet, when the LT Governor ran for the U.S. Senate he was pelted with Oreo cookies at a campaign appearance. An Oreo is a black person who is black on the outside, but white inside. A white liberal blogger released a racist doctored photo of Steele as a black-faced minstrel. The caption read, “Simple Sambo wants to move to the big house”. This is merely a glimpse into the Democrat's horrific record of racism which is equally poor on sexism. Million dollar contributor to Obama, liberal Democrat Bill Maher, called conservative Sarah Palin a c***. Maher called Michelle Bachmann and Sarah Palin MILFs (Mother I'd Like to F***). Imagine what would happen to a conservative displaying such disrespect for a liberal woman. During a monologue, David Letterman took a cheap shot at Sarah Palin at the expense of her daughter. Letterman said Palin's daughter got “knocked up” by Alex Rodriguez. Letterman also said Palin has the style of a “slutty flight attendant”. Democrats can not be trusted with national security and restoring America back to it's world leader status and economic glory. Like walking dead zombies, Democrats and their cohorts in the mainstream media are undeterred, totally focused on implementing the liberal socialist/progressive agenda and protecting the legacy of the first liberal “black” president. Political correctness and identity politics are killin' us folks.